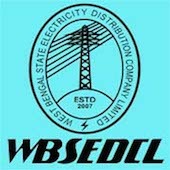 Online Application Details for West Bengal State Electricity Distribution Company Limited WBSEDCL Recruitment of 4 Special Officer-Land and 8 Special Officer-S&LP is given below. Candidate should be Retired Government Officers / Police Officer. Application form and duly attested documents are to be sent to The Additional General Manager (HR&A), Recruitment & Manpower Planning Cell, Vidyut Bhavan, 7th Floor, ”C” Block, Sector-II, Bidhannagar, Kolkata-700091. In envelope super scribed with 'Application for the Post of Post Name'.